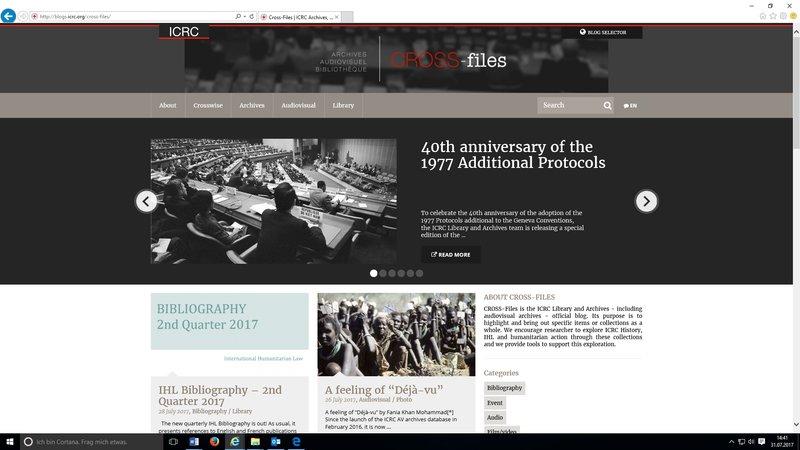 The Archives of the International Committee of the Red Cross in Geneva has created the new blog CROSS-files! 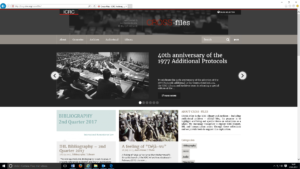 This blog aims at promoting the contents of the rich audiovisual archives, library collections, general archives and what the ICRC calls the “Agency Archives”. This great collection of books, sound recordings, films, videos and photos illustrate and document the activities of the ICRC from the end of the 19th century up to the present day. These archives and library have been continually expanded over more than 150 years and today represent a significant heritage in the field of humanitarian law and action. It is a fantastic resource for all researchers working in the entangled fields of the history of humanitarianism and peace and conflict studies! 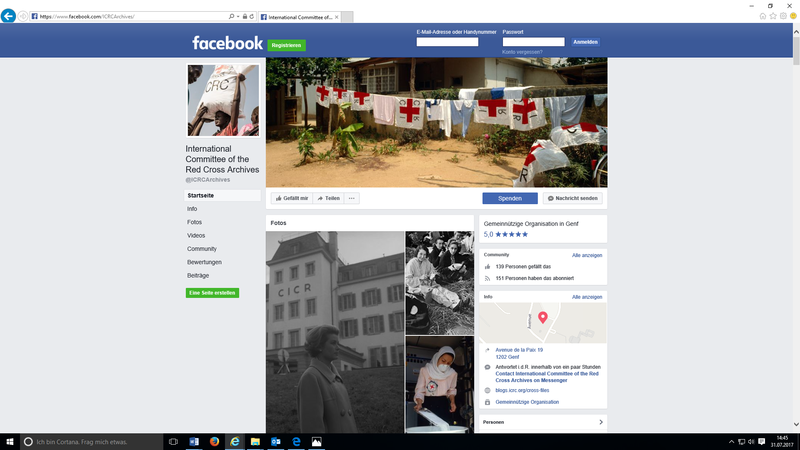 Furthermore, there is also the new ICRC Archives facebook account, where you can find additional material regarding the archives. Enjoy exploring the rich history of the International Committee of the Red Cross and its archives! This entry was posted in Actualités / News, Networks and tagged Humanitarianism, ICRC Archives by Fabian Klose. Bookmark the permalink.